A rum for those who like cognacs and somewhat lighter fare without the heaviness or sweeter full-bodied physiques of the darker variants. Rewards some patience, because it does not reveal its secrets lightly, and will require you to go back to it a few times before appreciating it for what it is: a drink both subtle and supple, spicy and sere. Nice. 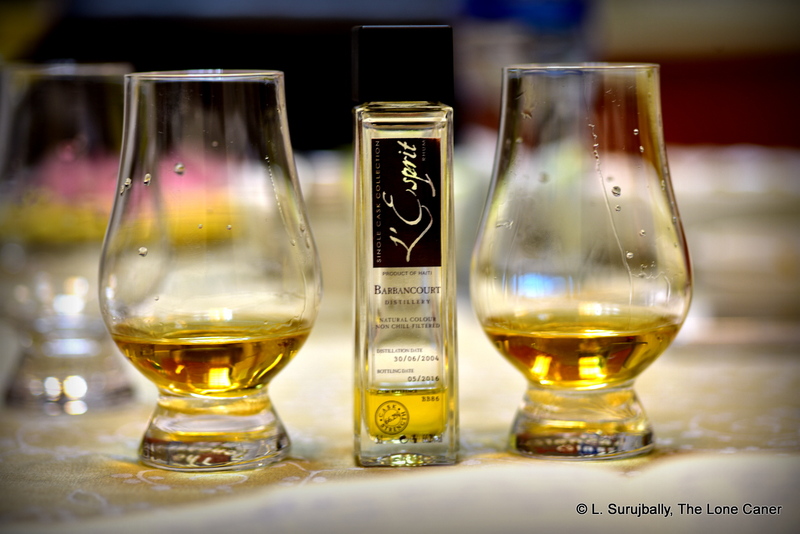 First posted 20th January 2012 on Liquorature. 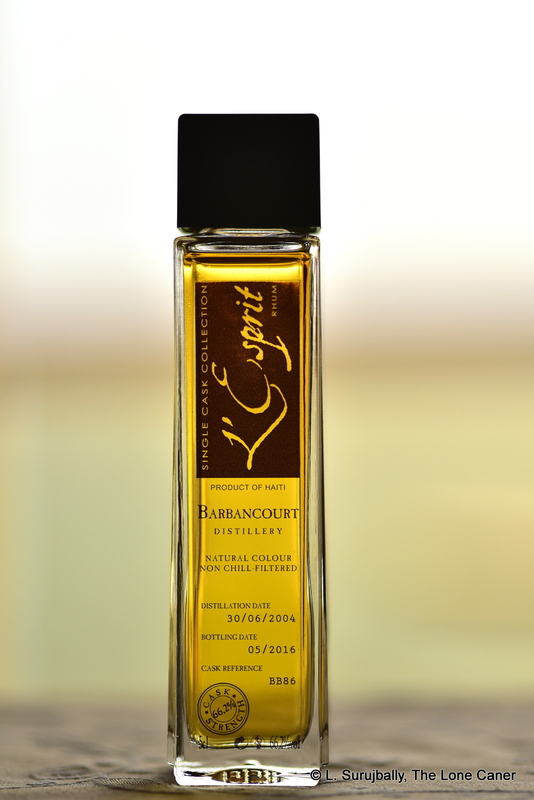 I had previously tried their Barbancourt 8 year old which I found an intriguing essay in the craft, but lacking some of the richness and smoothness I preferred, and listing slightly more towards cognac than a rum (and I’m a middling proponent of cognac). Others of course, love the thing, and esteem it even above the fifteen year old, which was initially reserved just for the founder’s family and entered commercial production in the 1960s. The 15 is packaged in much the same bottle as the 8, but with a spiffier label. Same cheap tinfoil cap, however: at least it closed tightly. Like the 8, it originated in sugar cane juice, so it was an agricole, not a molasses-based product, even if it lacks the official French AOC designation associated with a terroire which would perhaps grant it more street cred among the snooty. By the measure of these characteristics, there were certain things I would have expected of this rum: a medium to light body, a less-sweet-than-average palate, and a certain driness to the taste, as well as a complex mingling of tastes and a lingering finish with a bit of claws at the back end. And indeed, the lead-in started well off to confirming this: a spicy nose, somewhat light and flowery, lacking the dark power of, oh, the Pusser’s 15. Some fresh fruit mingled with pecans, a florists shop and (I swear this is true), freshly done laundry. As I suspected the body was not entirely up my street (but then, my street is in Tiger Bay in GT and leads into Buxton, not downtown Port-au-Prince, so draw your own conclusions there): a solid medium corpus – in that sense I would compare it against the Clemente Tres Vieux from Martinique, or perhaps one of the middle ranking Colombian Juan Santos rums I so admired. Neither was the palate sweet, or even middling sweet: it was quite sere, peppery almost, and once again there are subtler hints than usual of the flavours we seek, like grapefruit, burnt sugar, caramel, and baking spices. 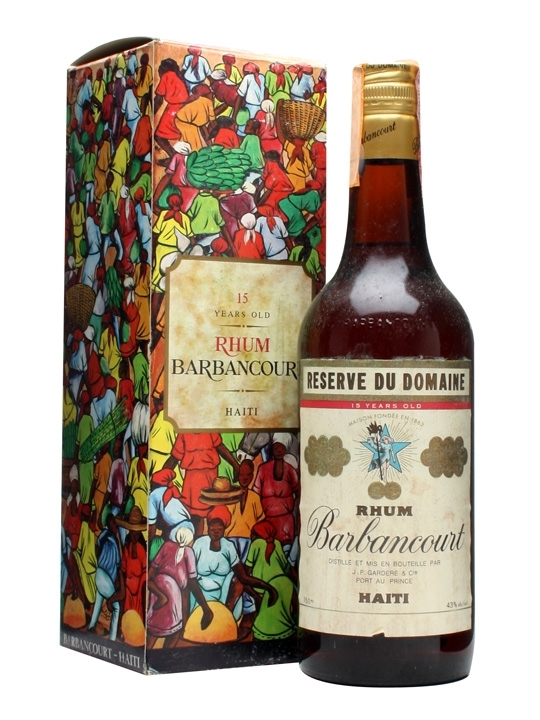 In fine, I was not entirely won over by the Barbancourt 15 year old (no need to call for the headsman’s axe, I’m aware that I’m in a minority), but concede without hesitation that it was not a kick-down-the-door bandit out to relieve you of your valuables…more a sly, subtle thief in the night, with complexities of character that gradually grew on me. 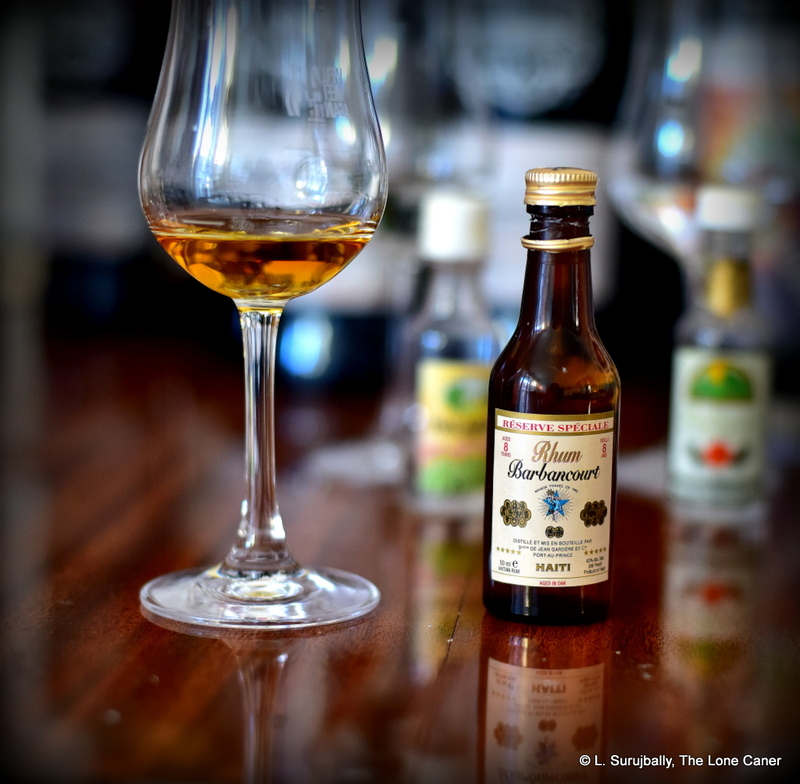 And l wasn’t alone – if the measure of the success of a rum is the way the Liquorature crowd lowers the level of any bottle I presented, then this one was close runner up to the Ron Abuelo 12 by being damaged to the tune of over two thirds. That’s a real recommendation by any standard, given that it was done by a bunch of low class whisky lovers. 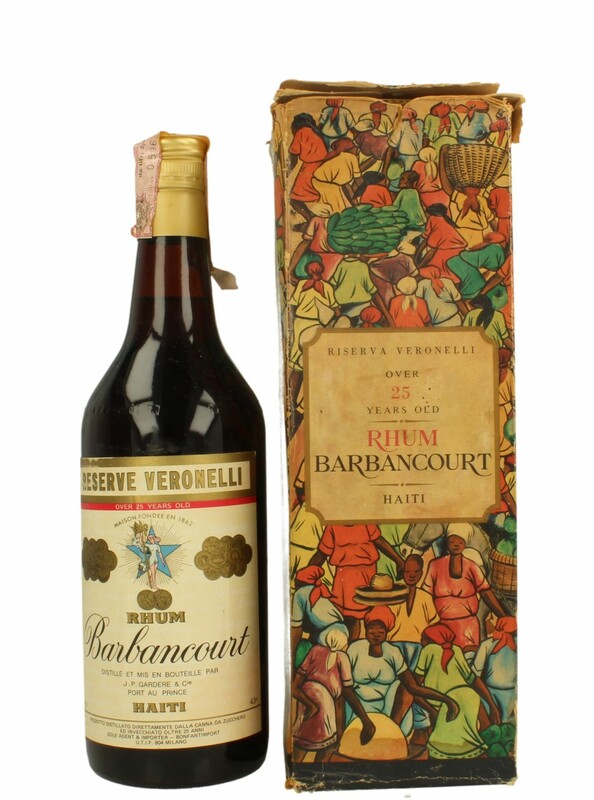 A cognac lover I’m not, and an unabashed Barbancourt fan neither – this rum, however, demanded I pay them a lot more attention. 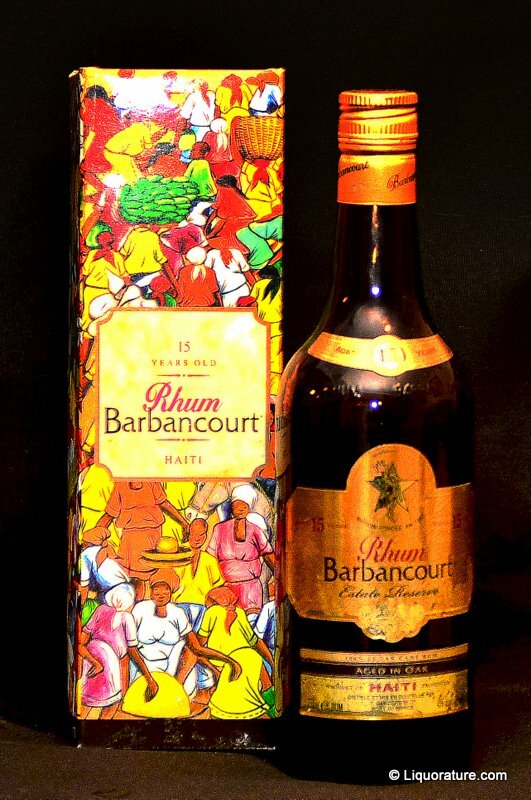 Barbancourt. Just roll that on your tongue and you can almost hear the whisper of words both foreign and exotic – Barbarossa the Ottoman privateer; the Barbary Coast; Hispaniola; bucaneer…the name reeks deliciously of of piracy. And aside from peg legs, parrots, cutlasses, the Spanish Main and caravels of looted or buried treasure, is there any product more identified with the term than that of their most famous drink? I have to admit that it was the romance of the name and origin – and some honest curiosity – that made me pick this one. 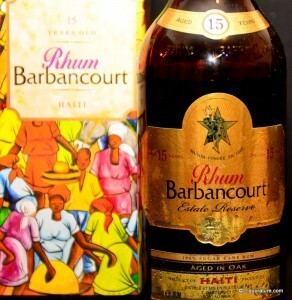 Haitian rums are not made from molasses but rather directly from cane juice, and the sojourns of the Club have not made it to this island nation yet; nor have I seen that many examples of the brand here in Calgary. Like other French islands (Martinique for one), what we have here is a rhum agricole, and I was fascinated as to the difference in the end product. 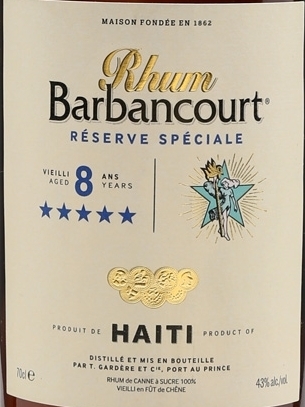 There are more expensive examples from Barbancourt out there (the 15-year estate offering for a start), but this seemed like a reasonable compromise. 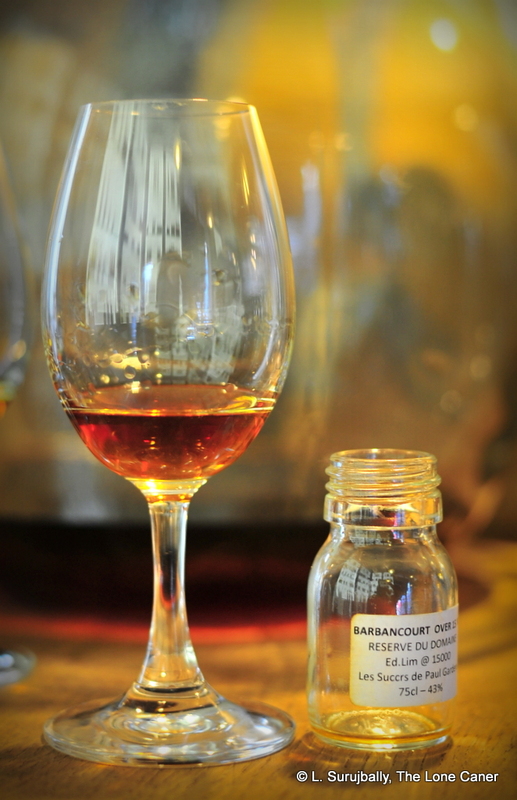 Agricole rhums are lighter-coloured than the average, as a result of being made from cane juice as I noted above, and tend towards dark yellow. 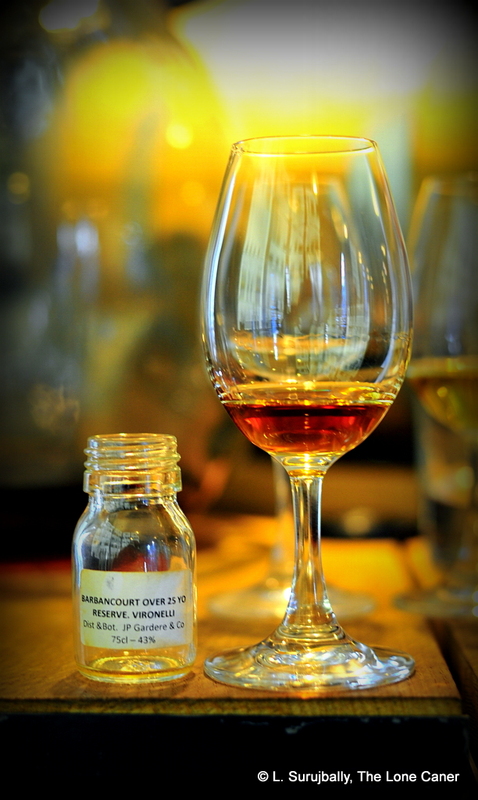 This Special Reserve originated from a double pot-still distillation, and was then aged for eight years in Limousin white-oak barrels imported from France (they once held cognac, I believe). 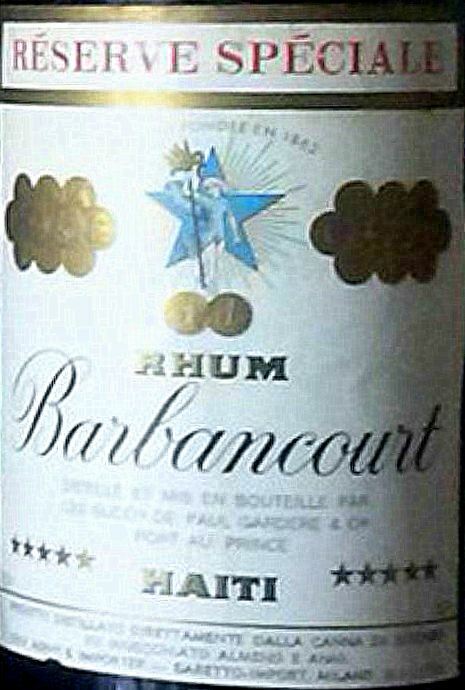 Press releases and distributor’s notes suggest Barbancourt is among the most widely distributed and available rums from the Caribbean, but I chose to dispute that: the Law of Mediocrity (which is not what you think it means) suggests that if, in the first store you enter in some average spot on the globe, they stock this stuff, then you’re likely to find it anywhere. Since I’ve spotted this rum once in many years (last week)…well, you get the point. I’ll grant you however, that it’s probably one of the better known Haitian exports. I liked the light colour (hidden from casual view by a darkened bottle of no distinguishing presentation) and a swirl in the glass revealed shy legs that took their own time draining back into the glass. The nose surprised me because the spirit surged to the fore immediately: it was, quite honestly, a bit overwhelming, even medicinal. But as that faded, I managed to pick out notes of butterscotch, toffee, brown sugar and…honey. Nice. The taste was tricky because the more powerful components took charge so quickly. You have no problems picking up vanilla, the toffee, caramel and burnt sugar, but subtler flavours hide behind the skirts of the more aggressive ones – a bit of nuttiness flirted around with a faint citrus I could not identify (I always have a problem figuring out whether it’s lime, lemon, orange, tangerine or some other Vitamin C bearer I’m tasting). The burn on the backstretch is not strong, but definitely present, a phenomenon I attribute to the prescence of oak in the maturation process. I wish there had been less spirit sting, to be honest, because it marred what to me had been a spiffing job up to that stage. But really, it’s a minor point, because overall, I thought it was a decent sipper: not top of the line, but a very pleasant sundowner. 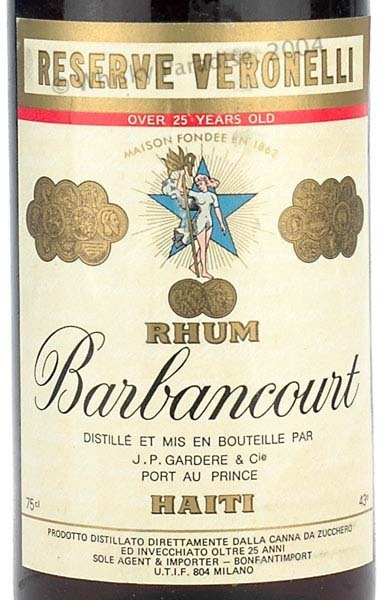 The body of the rhum is not as rich as I might like, and in taste it hints at the heritage of Dupre Barbancourt who hailed from the cognac producing region of France and formed the company in 1862. So it’s perhaps a bit schizophrenic in that it’s a medium- to light-bodied paler rum, slightly dry, and not as sweet as might be expected – hardly the profile of a rum as I’ve been used to defining the term: more like a cognac, really. And here, my plebian instincts overwhelm my own snootiness, because with that kind of flavour and texture, the spaces of the drink are very nicely filled by a coke, and in doing that, a masterful little mixed drink is created which I have no hesitation whatsoever in recommending to any who ask. As a point of interest: Haiti is unique as a nation because it is where the only successful slave revolt in the West Indies took place, under Toussaint L’Ouverture, at the turn of the 18th century. Sadly, it is now the poorest nation in the western hemisphere, and successive dictatorships have left the place in shambles. High marks go to the businesses that manage to produce this excellent product…one can only speculate under what conditions they do so, or with what methods.